After an unplanned 5-year detour, Japan’s Venus probe, Akatsuki, has come back to life and provided new images of Venus. These include a detailed shot of streaked, acidic clouds and a mysterious moving ‘bow’ shape in the planet’s atmosphere. Akatsuki, which means ‘dawn’ in Japanese, launched in 2010 and was supposed to enter into orbit around Venus later that year to study the planet’s thick atmosphere. The mission would include looking for signs of active volcanos and other geology. However, upon entry, a fault in a valve caused the probe’s main engine to blow, and the craft entered an orbit around the Sun. As Akatsuki passed near Venus in December, Japan Aerospace Exploration Agency (JAXA) engineers managed to salvage the mission by instructing the craft’s much smaller, secondary thrusters to push it into a looping elliptical orbit around the planet. Its suite of five cameras capture light ranging from infrared to ultraviolet. A highly detailed shot show dense layers within Venus’s sulfuric acid clouds. The highest-quality infrared image of this view of Venus, it suggests that the processes that underlie cloud formation might be more complicated than previously thought. From an article on Sky and Telescope by David Dickinson, originally posted on December 9, 2015. The Japanese Aerospace Exploration Agency’s (JAXA) Venus Climate Orbitor Akatsuki is finally orbiting Venus – five years later than planned. After a catastrophic main engine failure in 2010 causing the spacecraft to fly past Venus instead of entering its orbit, scientists and engineers have salvaged the mission and put Akatsuki back on track. On December 6th 2015, five years to the day of the original blip, four tiny reaction-control thrusters burned for more than 20 minutes to insert the spacecraft into Venusian orbit. Engineers had tested these thrusters to ensure it was possible back in 2011, before putting the spacecraft into hibernation to prolong its life. The first opportunity to execute the manouver came at the beginning of this month, and it proved to be second time lucky for JAXA’s spacecraft. The six instruments aboard the Akatsuki spacecraft will probe Venus’s atmosphere, measuring its rotation and convection.Researchers also hope to detect evidence for Venusian lightning using a high-speed imager aboard the spacecraft. Viewing across radio, infrared, visible and ultraviolet wavelengths, the payload will also record heat radiated from the Venusian surface and may spot active volcanoes if they exist. A series of radio occultation experiments will also allow researchers to probe the depths of the Venusian atmosphere as the spacecraft makes successive passes behind the planet as seen from Earth. In addition to the science payload, JAXA also teamed up with the Planetary Society to carry more than 260,000 people’s names and messages printed on aluminium plates aboard the spacecraft. Whilst the new orbit time is much longer than originally planned, with a closest approach of 400km as opposed to the intended 300km, the JAXA engineers have saved the mission from disaster. Akatsuki, meaning ‘dawn’ in Japanese, will begin to send back its findings in 2016, and as it’s the first time that JAXA have managed to put a spacecraft in orbit around another planet, their wait will hopefully be rewarded. For more information on the terrestrial planets, see Chapter 6 of The Cosmos. Mercury has possessed a magnetic field for billions of years, and that field may have once been as strong as the Earth’s. As NASA’s MESSENGER spacecraft ended its four-year mission at Mercury, it travelled so low over the surface, at altitudes as low as 15 kilometers, that it was able to detect weak magnetism coming from surface rocks in terrain 3.7 to 3.9 billion years old. The discovery indicates that Mercury’s magnetic field, generated by liquid rotating in the planet’s core, was that old, helping to constrain scenarios for how Mercury has evolved over time. 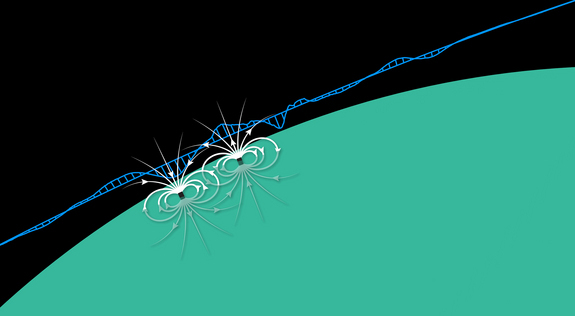 No trace of magnetism on Earth in rocks older than 3.5 billion years has been found. The United Arab Emirates has announced details of its uncrewed Mars probe, which it plans to launch in 2020 to monitor the planet’s atmosphere from orbit. The spacecraft, named Hope, will be a big step up from the country’s previous space activities as it attempts to compete with other emerging space powers like India and China. 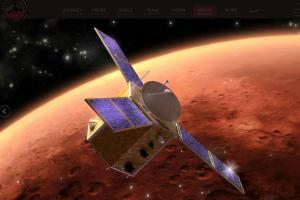 The Mars probe will carry spectrometers for analysing infrared and ultraviolet signals, along with a digital camera. These will measure water, dust and other molecules in the planet’s atmosphere, in an attempt to learn how Mars transitioned from a wet, warm world to the dry, dusty one we see today. The science goals are similar and complementary to those of MAVEN and MOM, two Mars probes launched last year by NASA and the Indian space agency ISRO. The Japan Aerospace Exploration Agency (JAXA) has unveiled the plan for a Moon lander. If successful, Japan will be the fourth country to send an unmanned probe to the moon after Russia, the United States, and China. JAXA plans to launch the mission as early as 2018, with a development cost estimated at up to 15 billion yen ($126 million). The probe, named SLIM (Smart Lander for Investigating Moon), will be carried by the nation’s solid-fuel “Epsilon” rocket. From earthbound optical telescopes, the surface of Venus is shrouded beneath thick clouds made mostly of carbon dioxide. To penetrate this veil, probes like NASA’s Magellan spacecraft use radar to reveal remarkable features of this planet, like mountains, craters, and volcanoes. Recently, by combining the highly sensitive receiving capabilities of the National Science Foundation’s (NSF) Green Bank Telescope (GBT) and the powerful radar transmitter at the NSF’s Arecibo Observatory, astronomers were able to make remarkably detailed images of the surface of this planet without ever leaving Earth. The radar signals from Arecibo passed through both our planet’s atmosphere and the atmosphere of Venus, where they hit the surface and bounced back to be received by the GBT in a process known as bistatic radar. This capability is essential to study not only the surface as it appears now, but also to monitor it for changes. By comparing images taken at different periods in time, scientists hope to eventually detect signs of active volcanism or other dynamic geologic processes that could reveal clues to Venus’s geologic history and subsurface conditions.